The average Irish family wastes €50 per month on discarded food. The first step is to aim to throw out less food which means changes in buying habits. But for all the inevitable peelings and leftovers in your kitchen using an organic bin diverts food waste away from landfill. This reduces the production of greenhouse gases which are harmful to our planet. 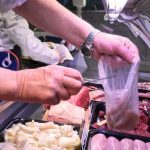 Plastic bags cannot be put into your organic bin. They are made from petrochemical plastics and they do not break down in the composting process; instead they contaminate it. If your waste collector finds plastic in your organic bin, your bin will not be emptied and a contamination tag will be placed on your bin to inform you. 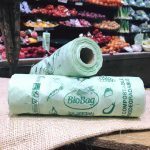 BioBag bags are 100% compostable but with all the strength and convenience of a conventional plastic bag. They are more effective than wrapping food waste in old newspaper and much more economical to use than disposable paper boxes. Using BioBag in your bin ensures that you comply with the requirements for composting your food waste. Food waste which is recycled from your house is sent to one of a number of large composting facilities across Ireland. It takes about 6 weeks to treat the waste and turn it into high quality compost which is of enormous benefit to farmers, growers and gardeners. 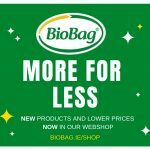 BioBag Ireland is working with Irish communities and Local Authorities to ensure that recycling rates continue to rise. We are raising awareness amongst Irish consumers of the most efficient and environmentally friendly ways to comply with organic waste disposal in homes.